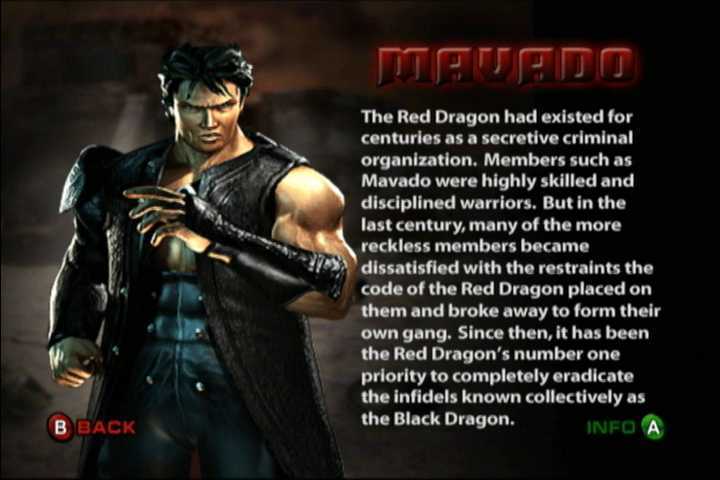 Mavado is the leader of the Red Dragon, a criminal syndicate with a long history. In the last century, some of the less disciplined Dragons broke away and formed the Black Dragon syndicate. The Red Dragon has been trying to extinguish the Black Dragon, and after Mavado killed Kabal and took his hookswords, only Kano was left. 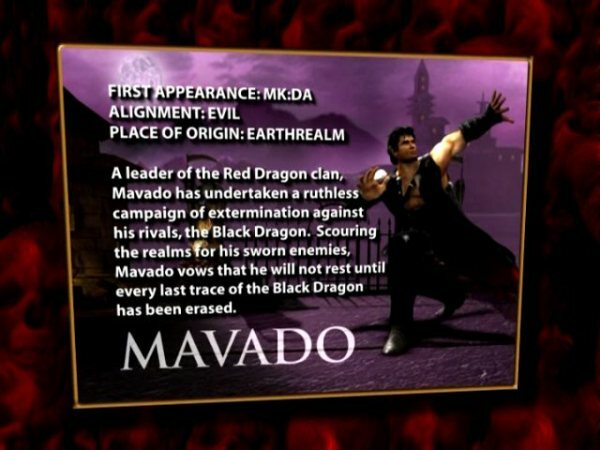 The Deadly Alliance contacted Mavado and offered the Red Dragon asylum when they planned to conquer Earthrealm. When Mavado learned that Kano was working for the Alliance, he asked to fight him. The Alliance told him to take care of Kenshi first. 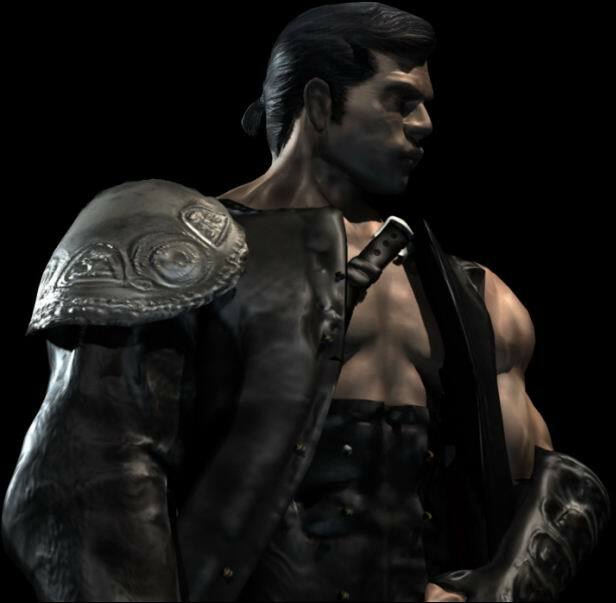 He defeated Kenshi, but left him for dead instead of killing him, and then fought and killed Kano. 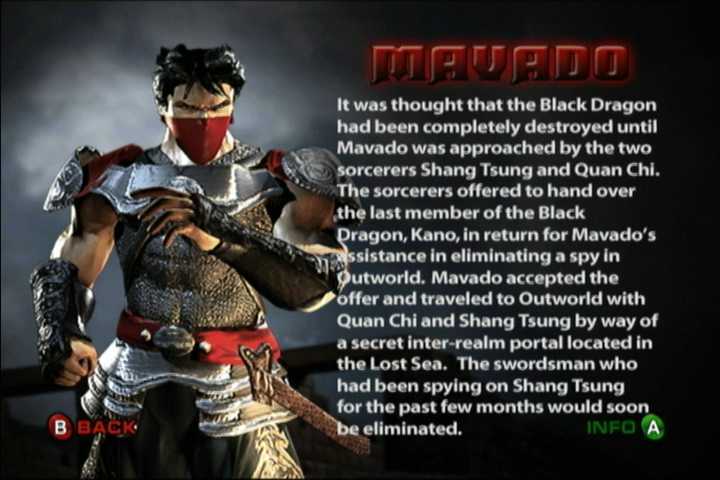 Quan Chi gave Mavado information about the Lin Kuei, another group that might oppose the Red Dragon. Mavado believed Quan Chi could be valuable, and sent Hsu Hao to dispose of Shang Tsung before Tsung could turn on Quan Chi. 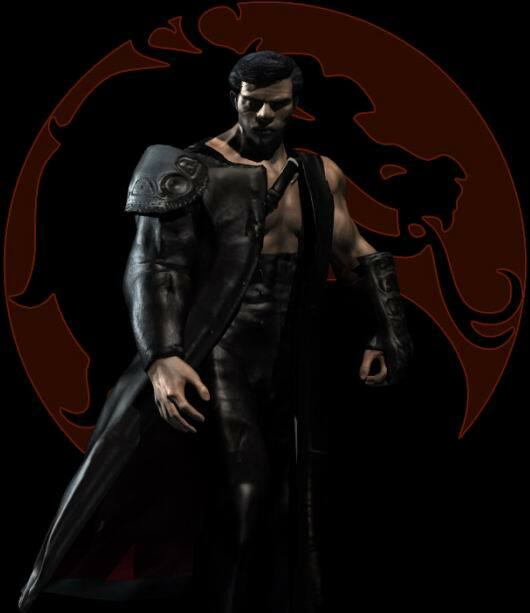 When the Deadly Alliance was defeated, Mavado faded into the shadows, and now plots against the Lin Kuei while avoiding the Special Forces. 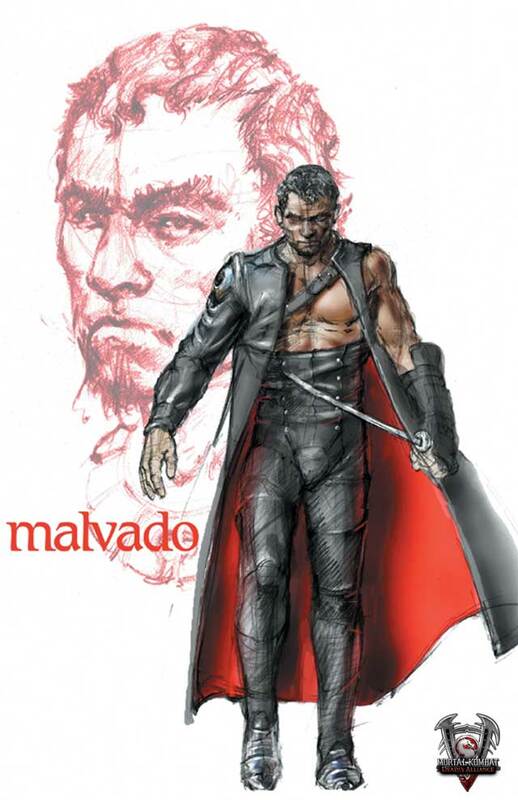 Before MK: DA came out, I thought Mavado's concept sketches looked pretty cool... so what the hell happened? He even had a different name before the final release (Malvado). lol. Anyhow, something went very wrong in the final product, because this guy ended up being pretty lame in the actual game. 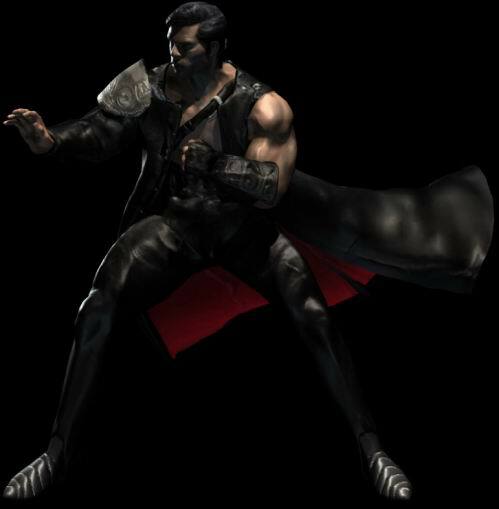 His nonsensical fighting style and moves seemed like such an afterthought... even for MK. 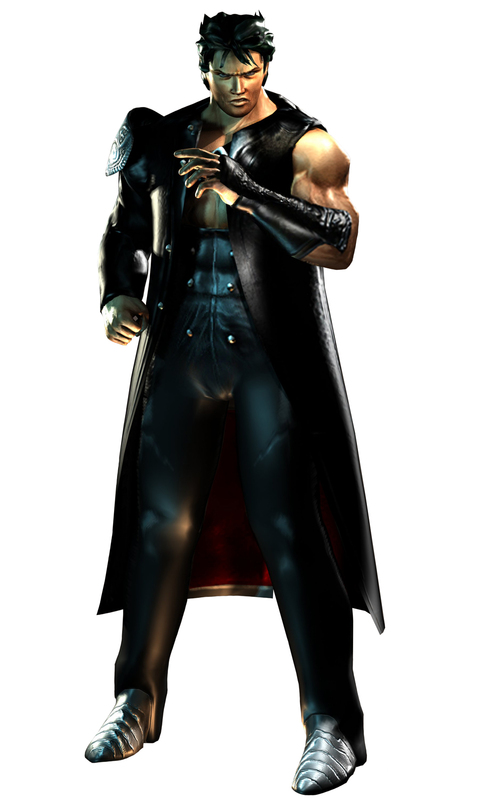 Mavado's default outfit also isn't anything special, and seems like more of a rip-off of Sephiroth's outfit more than anything else. Sorry... it's going to take a lot more than one silver shoulder armor and a long black coat to make this guy "cool." His knight-ninja hybrid 2nd player costume is also hideous if you ask me. He had potential, but in the end he was just another lackluster design from the 3D era of MK.